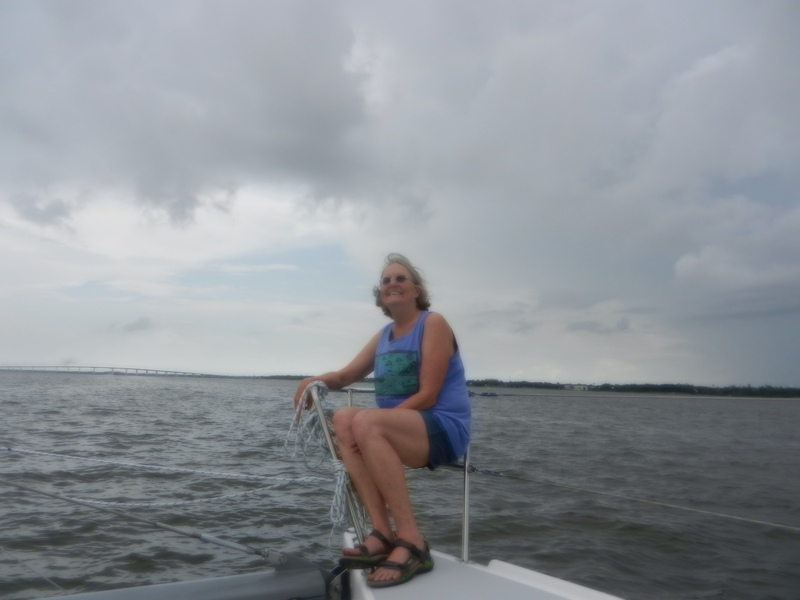 Last night we had found an anchor spot close to Daulphin Island following our long, stormy trek in from off shore where we got caught in yet another tropical depression. Before retiring we closed up all the hatches and eisenglass in anticipation of more rain to come. Around 3 a.m. Franci awoke realizing that she and everything around her was wet. The hatch above the bed had not been closed and it had rained heavily. Stephen and Franci arose and took all the wet bedding off the wet bed. Franci put on dry clothes. We were able to put a towel over the wettest spot and with a dry blanket got a few more hours of sleep. 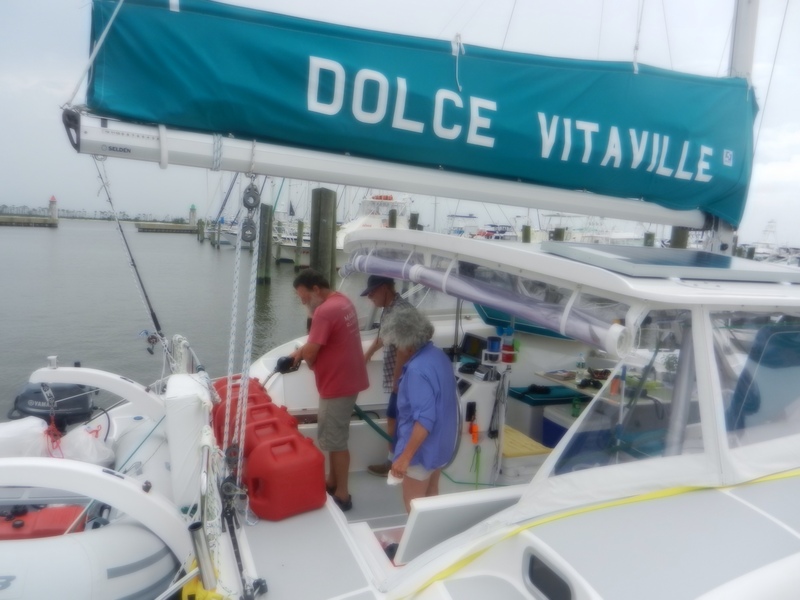 Around 7 a.m. we pulled up the anchor and went in search of the Daulphin Island Marina where we had anticipated getting fuel, water, and ice. We discovered that they were on the other side of a bridge we were too tall to go under. 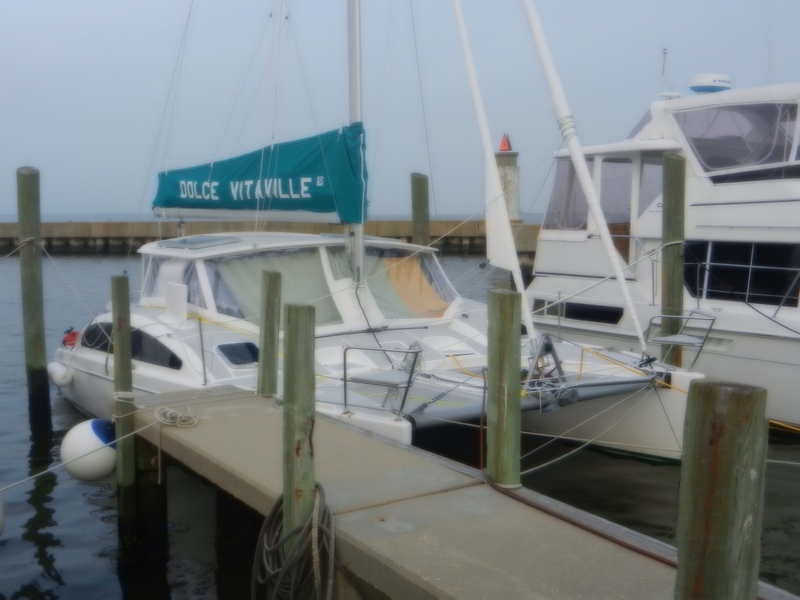 We searched our sources and found that the closest convenient marina with services was in Biloxi, Mississippi. 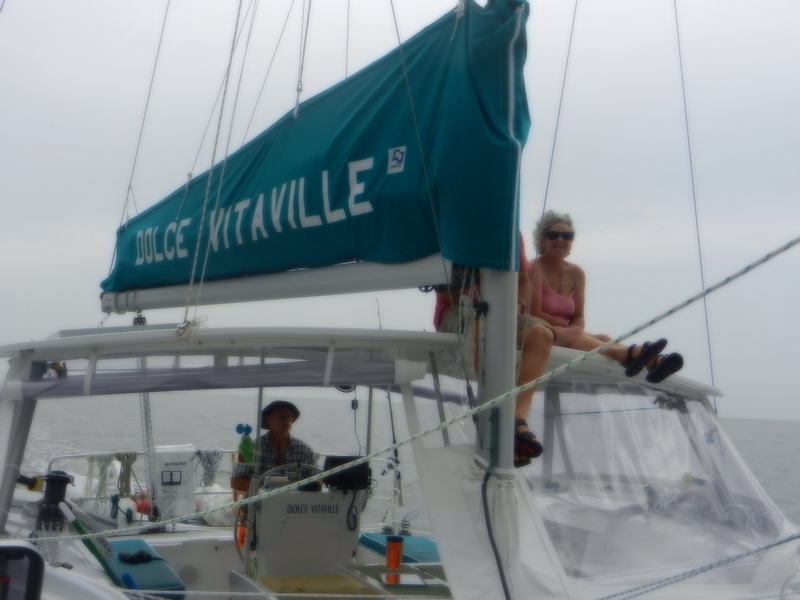 We determined that we still had enough fuel to go the 40 miles to Biloxi so off we went to our new destination. It was still raining off and on that morning, sometimes very heavy. We were rocking and rolling even in the ICW. 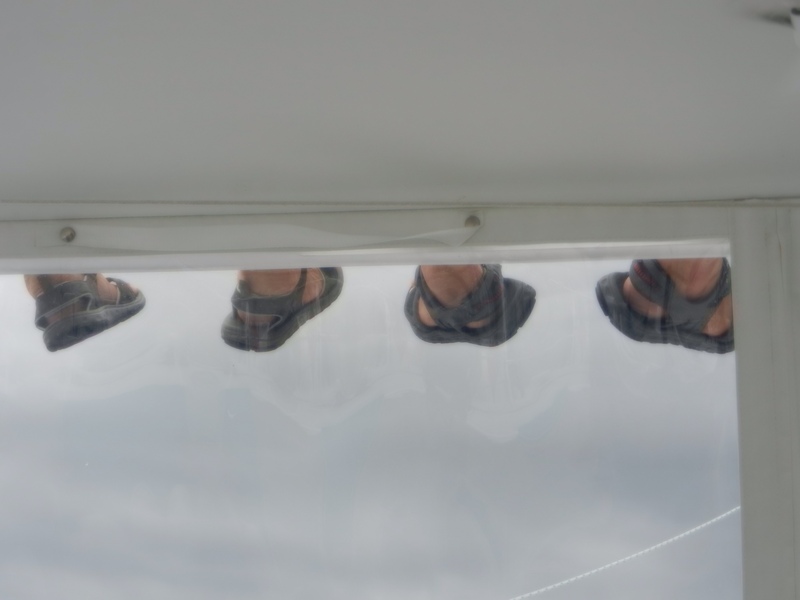 We were all happy not to be off shore anymore. 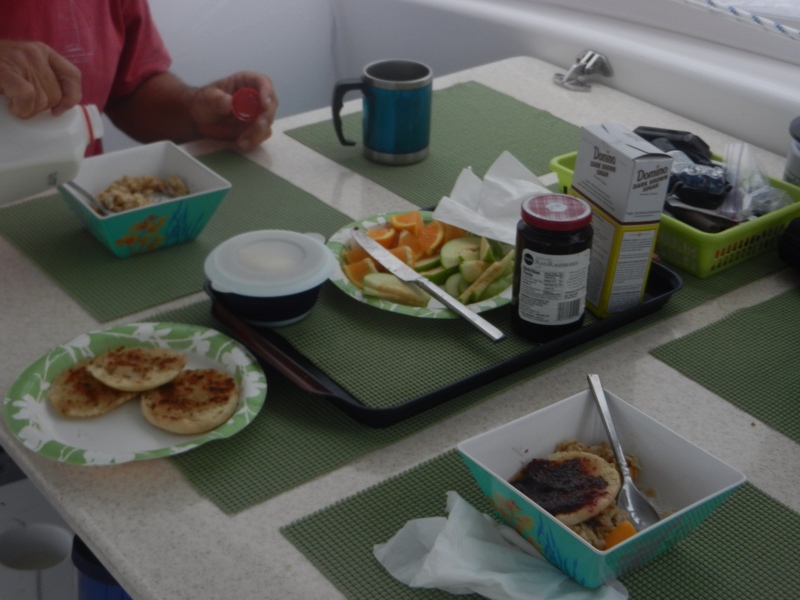 We ate a good breakfast with oatmeal, fruit and English muffins. 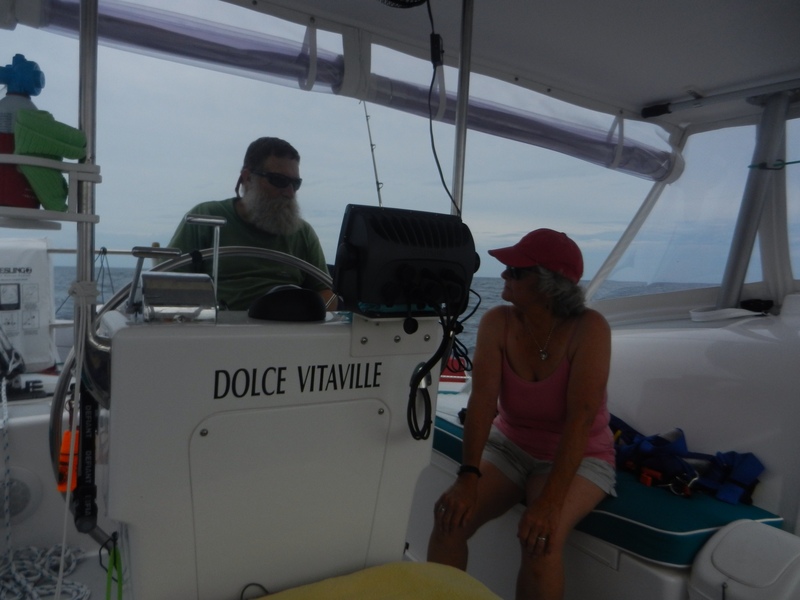 We put in a call to our buddy boat friend, David, that we had met at Indian Town Marina in northeast Florida. 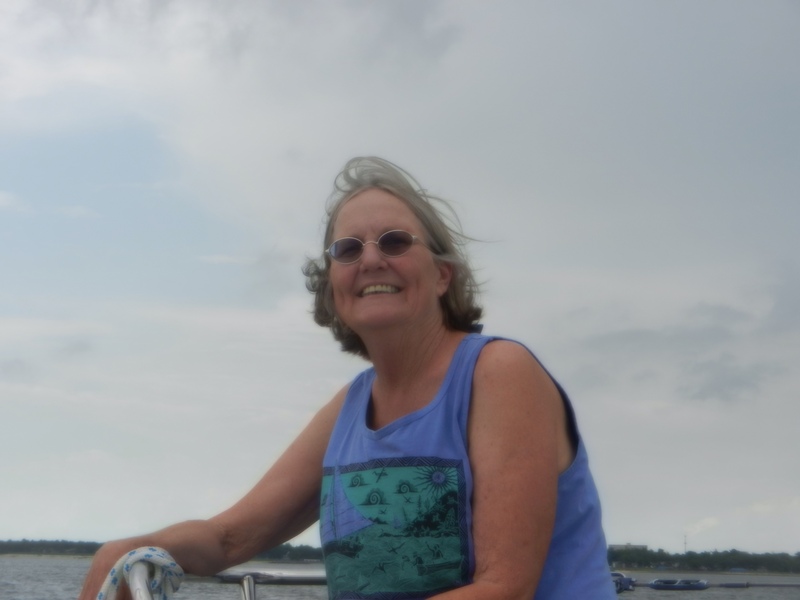 We had had dinner together one night at the Franklin Lock Campgrounds where we stayed following a day of going through locks and bridges together. 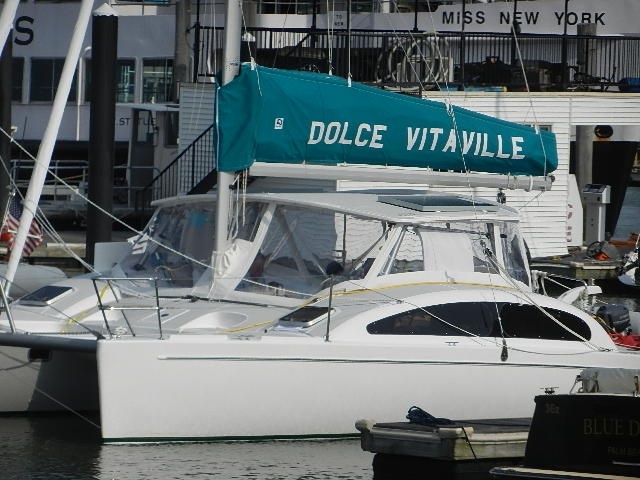 David is from Biloxi and we figured he could recommend the best marina for us to go to. He suggested Pt. Cadet Marina and, as coincidence would have it, he expected to arrive there himself that evening. 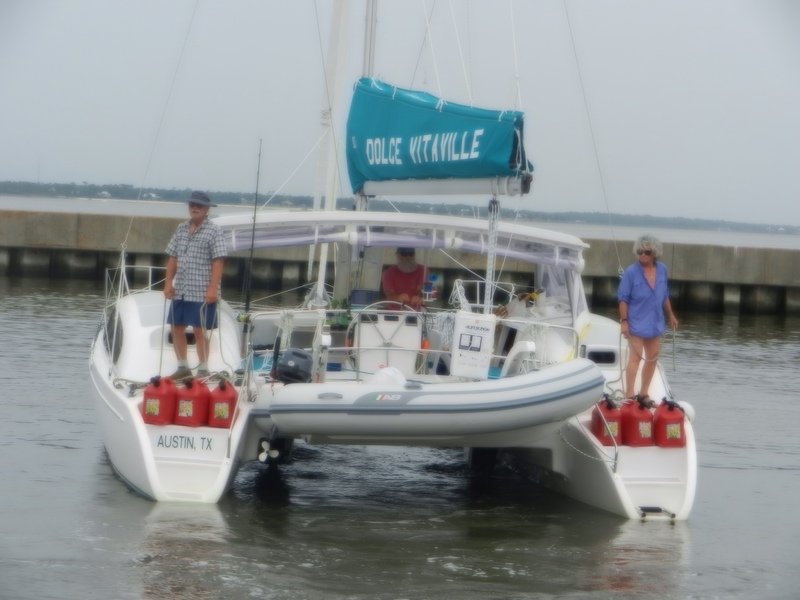 He was just then arriving in Biloxi with the Seal Boat, the boat he was hired to deliver when we met him. We had tuna sandwiches for lunch and listened to the afternoon weather report. We noted that we no longer saw blue skies ahead. 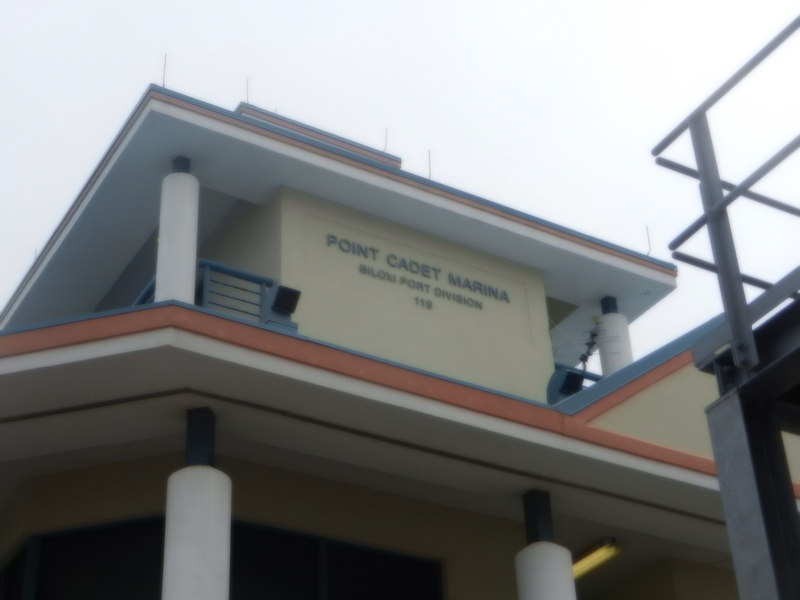 The marine weather station spoke of more thunderstorms to come and put out warnings about a water spout that had been spotted. The storm was not over yet. Down came the eisenglass again. Eventually we found ourselves arriving in Biloxi. We arrived at our marina around 4 o'clock. 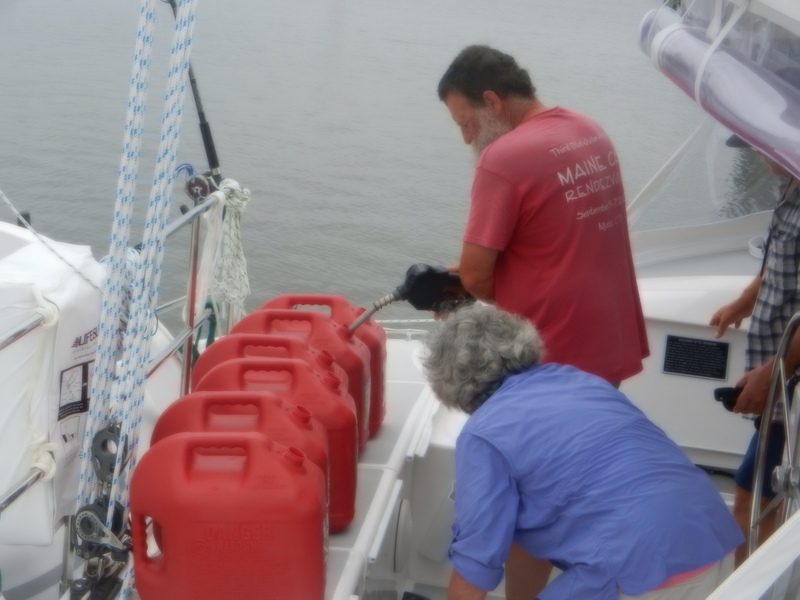 We filled both tanks and every jerry can with fuel and bought 100 lbs. of ice, all that the coolers would hold. 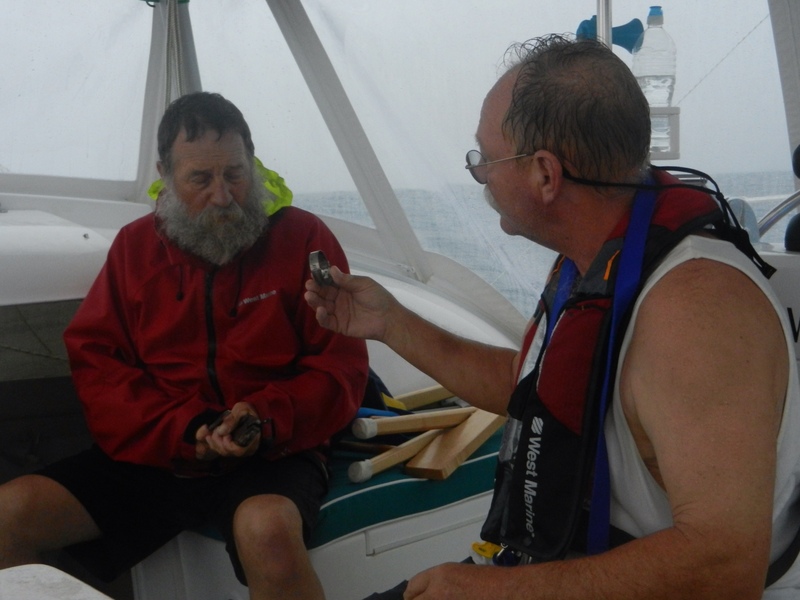 The harbor master, Richard, showed us to our slip. It was very narrow and took a long time to move into. 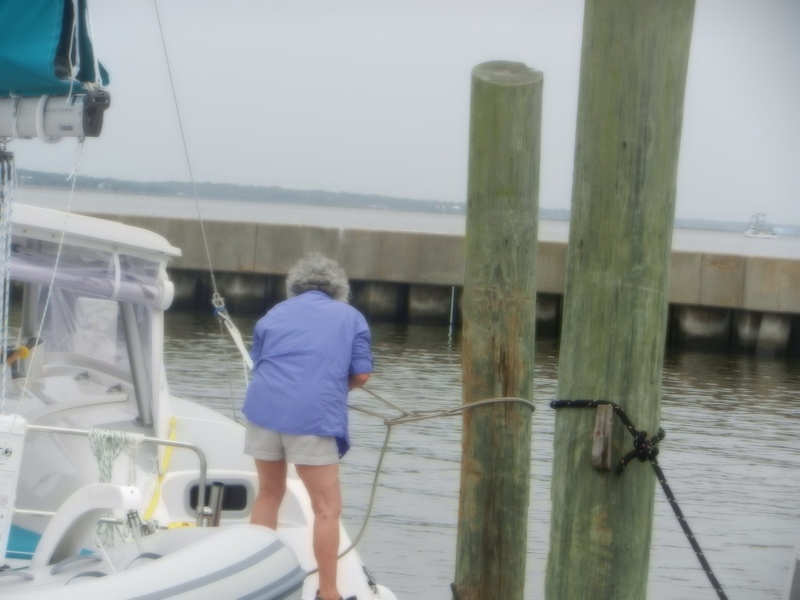 We began by backing in but after discovering that the electrical cord would not extend that far ended up turning the boat around forward. 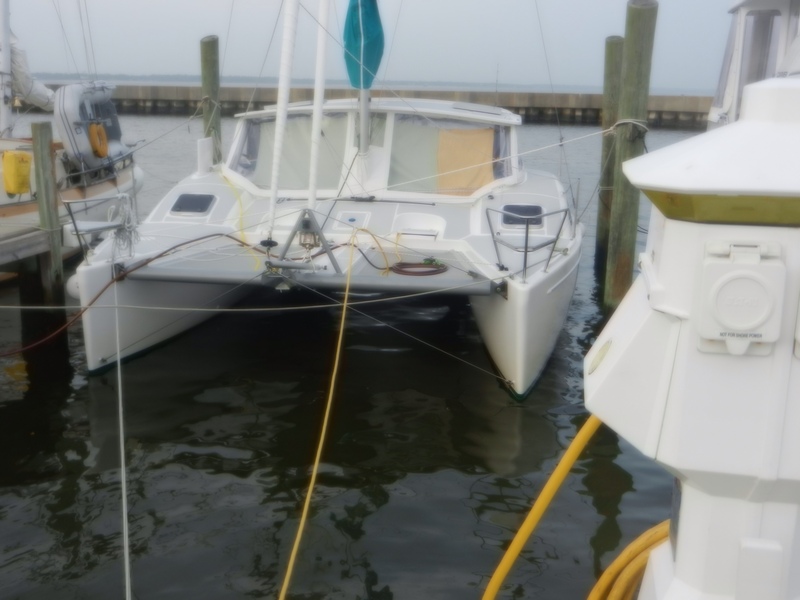 Finally the boat was situated and all the electricity and water connected. There was still a bit of fumbling yet to do with the AC. It for some reason had to be primed again. When it was finally going, folks put up a blanket blocking the sun coming through the windows and things began to chill down. Happy hour officially began. Franci took wet sheets and a blanket to the laundry. She also did a couple of loads of wash for she and Stephen. We all got showers and enjoyed the cool of the evening. We walked to the nearby casino for dinner. The suggested buffet was just too bright for us and, besides, they did not serve adult beverages. We were days behind on our partying at this point. We went to the steakhouse instead. 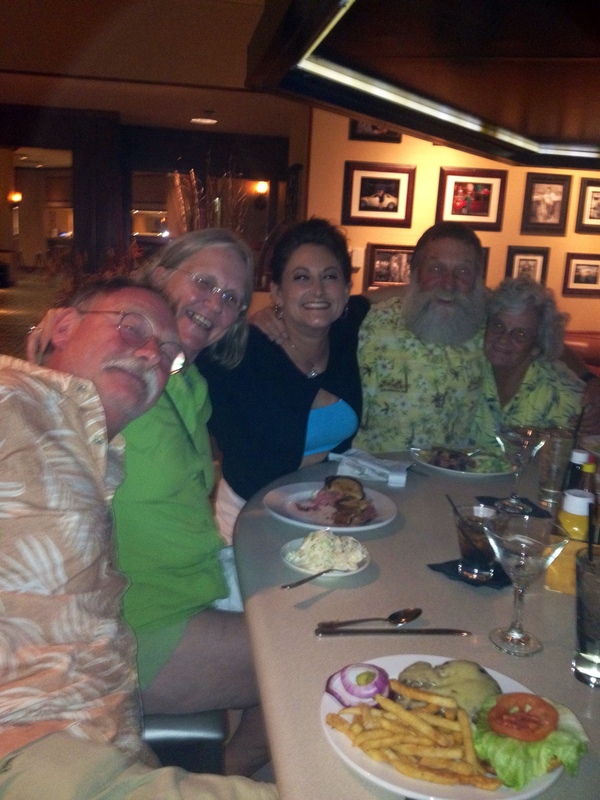 We enjoyed sitting at the bar and exchanging jokes with Amanda, Chris and a friend whoi came into the bar as well. It turned out the bar served sandwiches as well so that became the perfect fare for dinner. 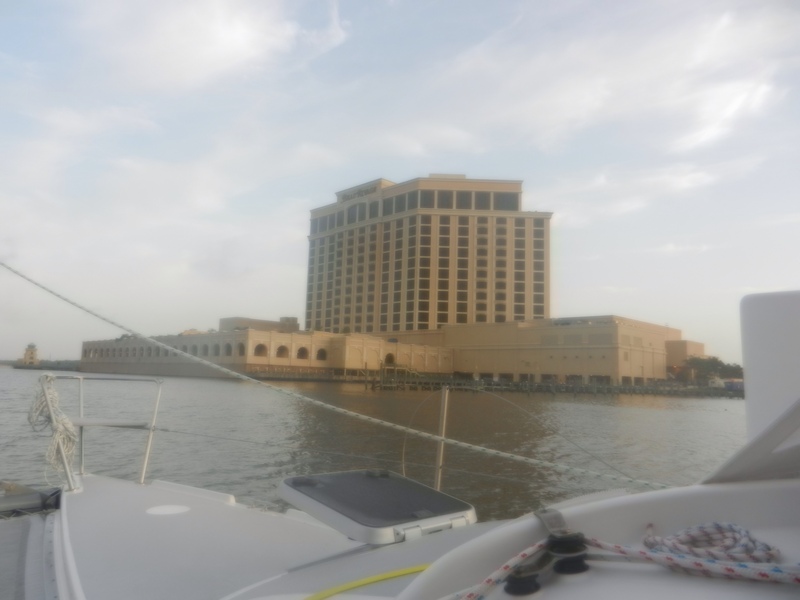 Biloxi, it turns out, is a big gambling town, They used to have casinos on barges but several years ago they were wiped out by the hurricane. They are currently rebuilding the casinos on the water's edge on concrete pilings.. The casinos themselves are immense concrete structures with attached parking garages and hotels. 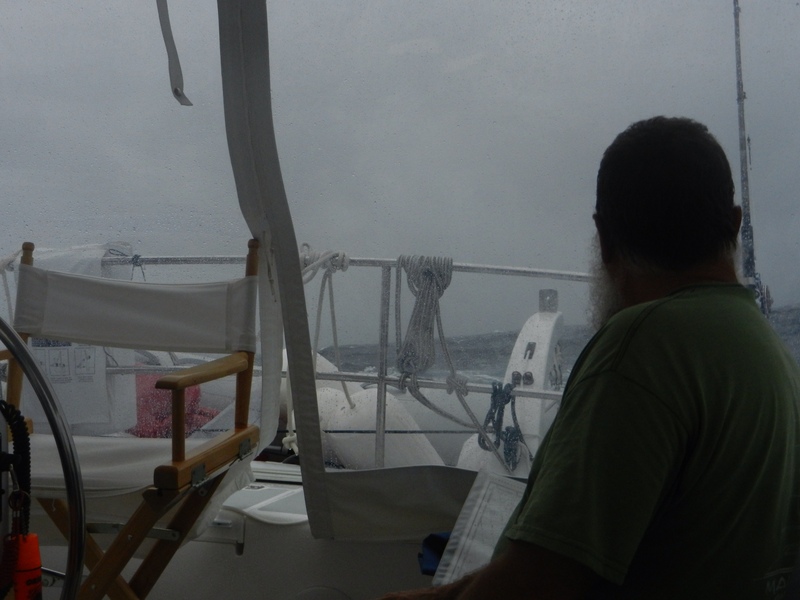 Continuing where we left off on Saturday evening, things were very calm…Ralph on watch…. 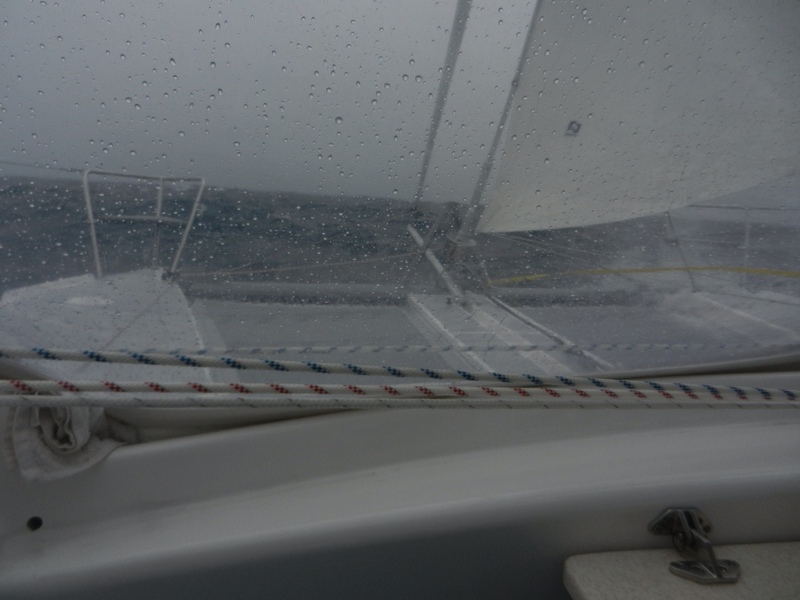 We were still underway but winds had subsided and we were only sailing 4 knots. 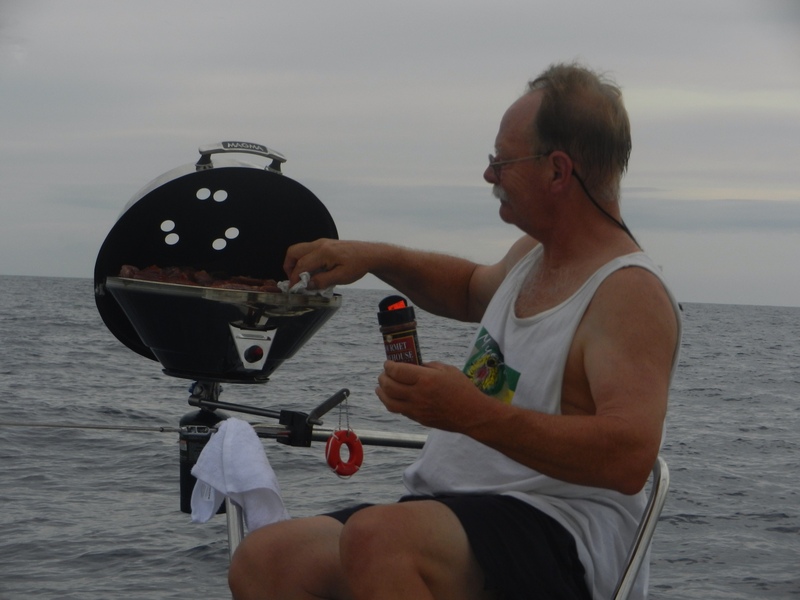 We were able to put out the grill to cook. 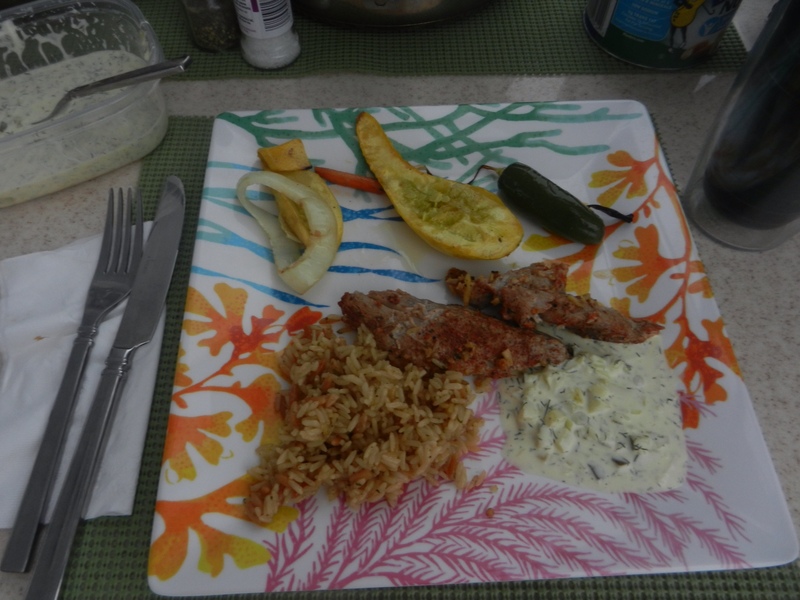 The fresh fish, veggies and rice were delicious. There was little to no sunset that evening. The rain began to move in. A highlight of the evening, however, was a pod of dolphins that danced around our boat for about ten minutes. 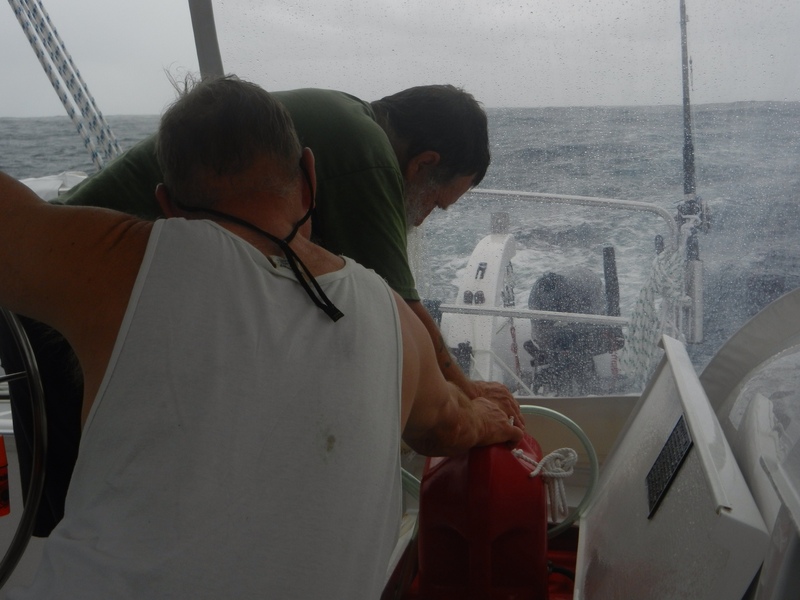 Later that evening we took down the main sail and motored on one engine, conserving fuel since we had chosen to extend our destination. It continued to rain throughout the night. Eventually the seas became very rough. Come Sunday morning the weather looked bad. 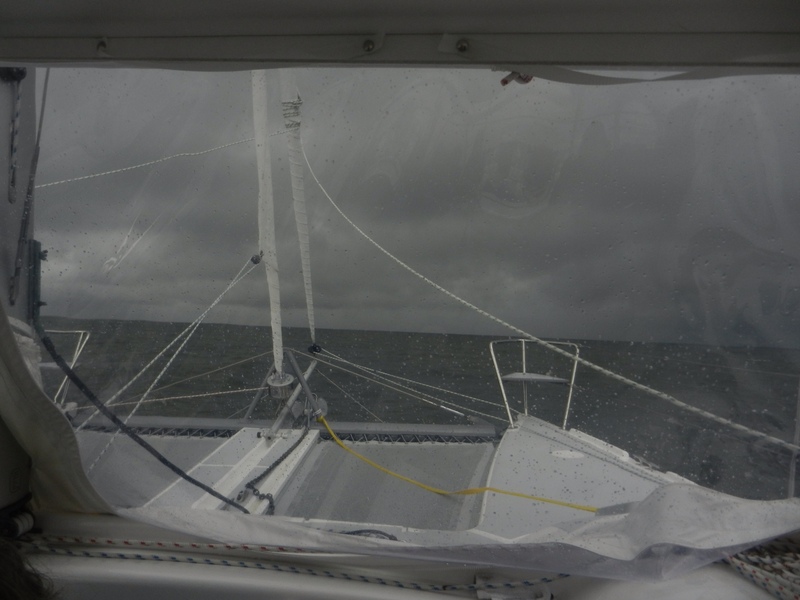 We changed course again, this time headed northwest to Mobile, Alabama, just in case the weather got even worse. Arrival time in Mobile that evening was expected to be around 7:30 p .m. 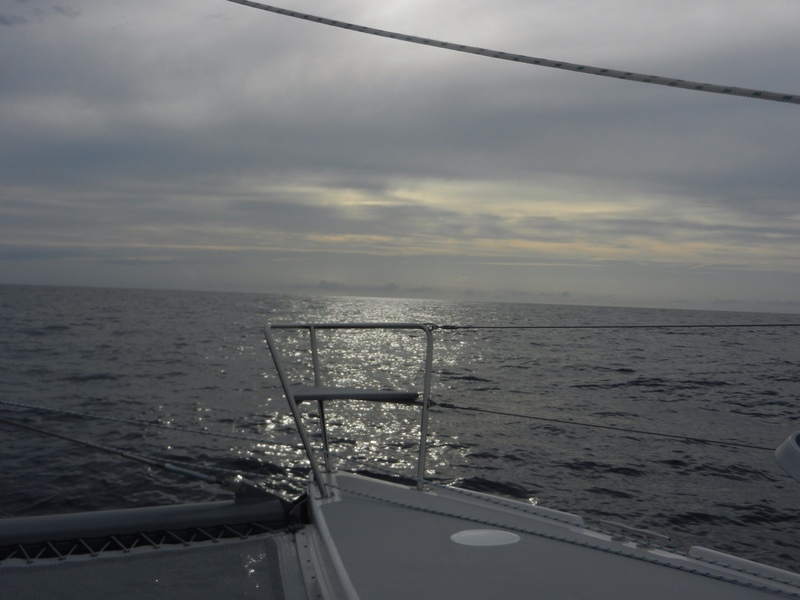 At 10 a.m. that morning we put up the main sail with two reefs so as to head to port as fast as we could make it. By 11 a.m. we finally heard small craft warnings on the radio. The swells were growing. We were rocking and rolling. 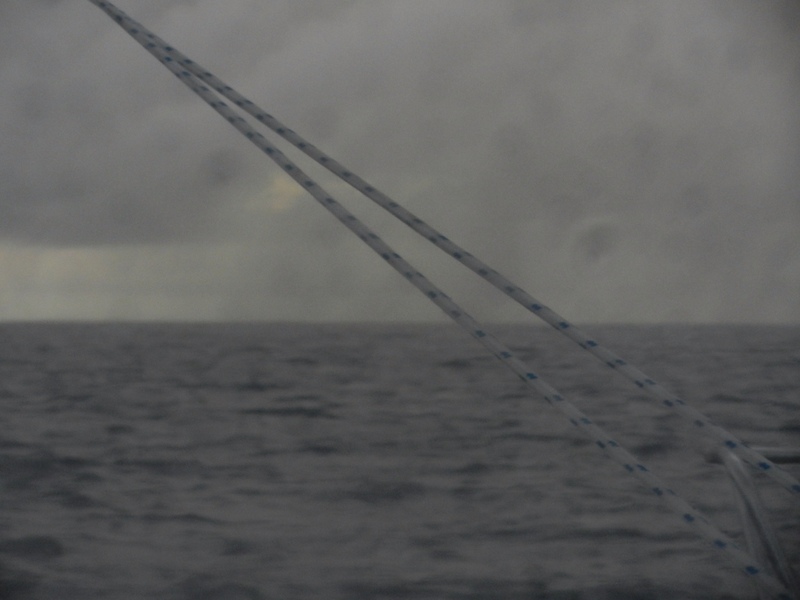 We attempted to catch the size of the swells with our cameras but none of our photos did it justice. With the sail up the new arrival time was 6:30 or so. 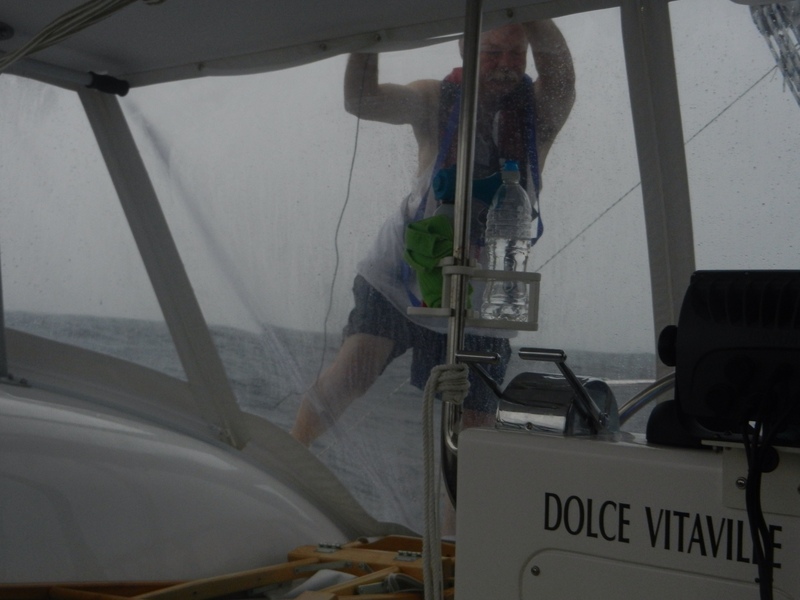 When we found ourselves sailing 13.8 knots we knew we needed to take down some sail. 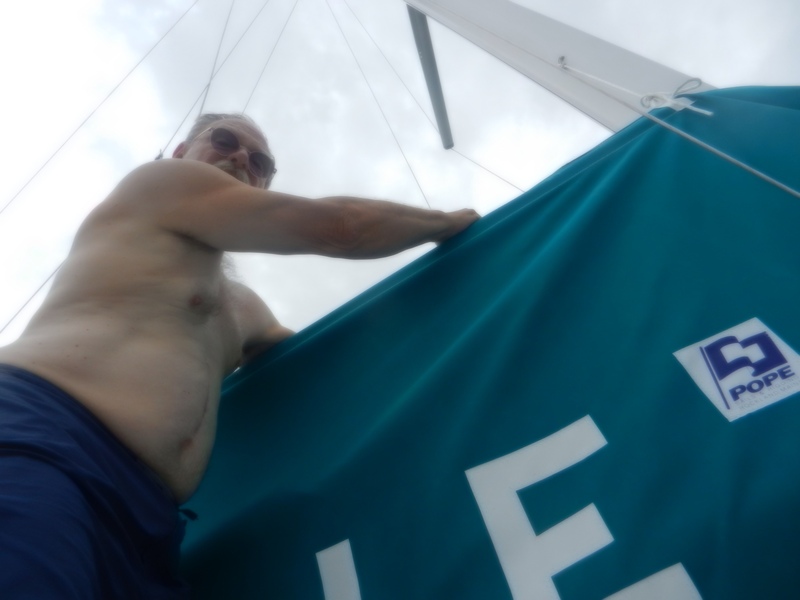 At noon we took down the main sail. 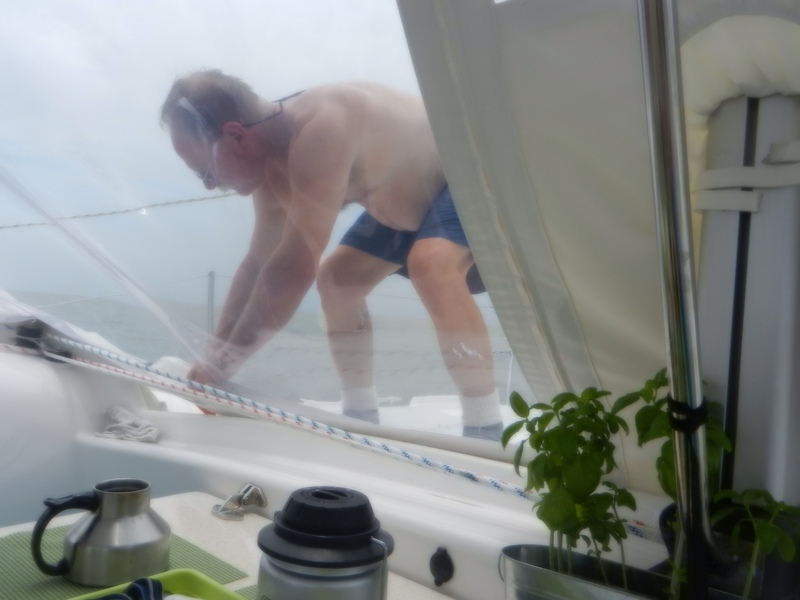 It was way too exciting at that point, especially having the captain outside on the cabin top stuffing the remainder of the sail that did not fall into the sail pack and securing the halyard. 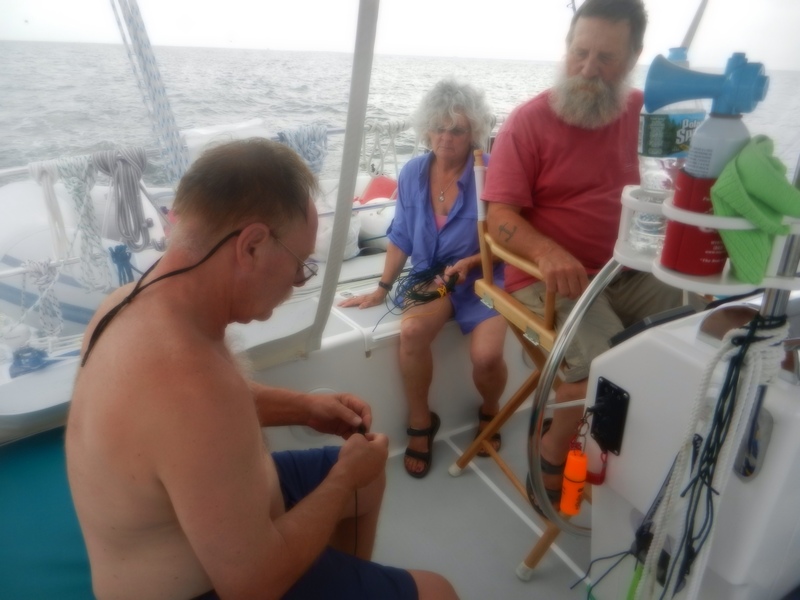 He mentioned that many of the screws holding the sail to the little cars that attach the it to the mast were loose and needed to be tightened. At 2:45 Capt. Ralph refueled one more time. We put in the last of our gas from the jerry cans. This had been our longest run so far. We still had 30+ miles to go to reach Mobile. 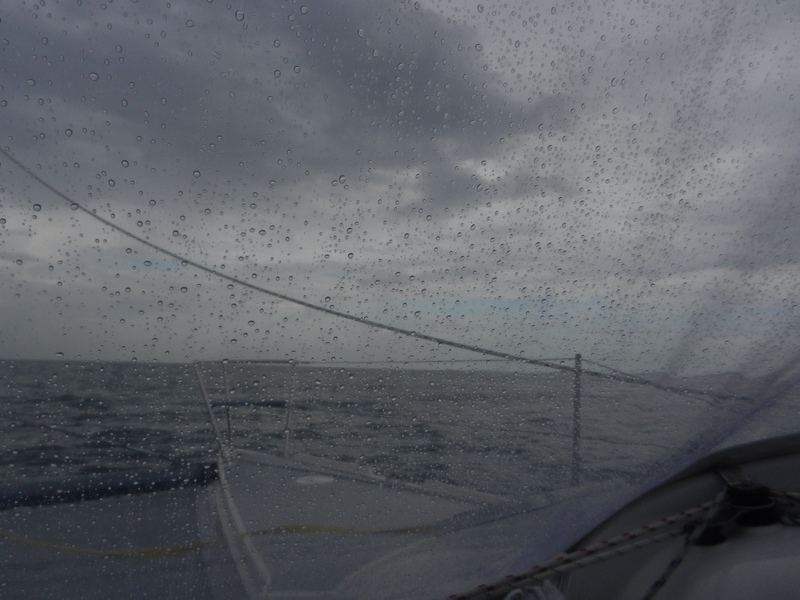 The waves had subsided a bit by then but the rain continued to come and go. 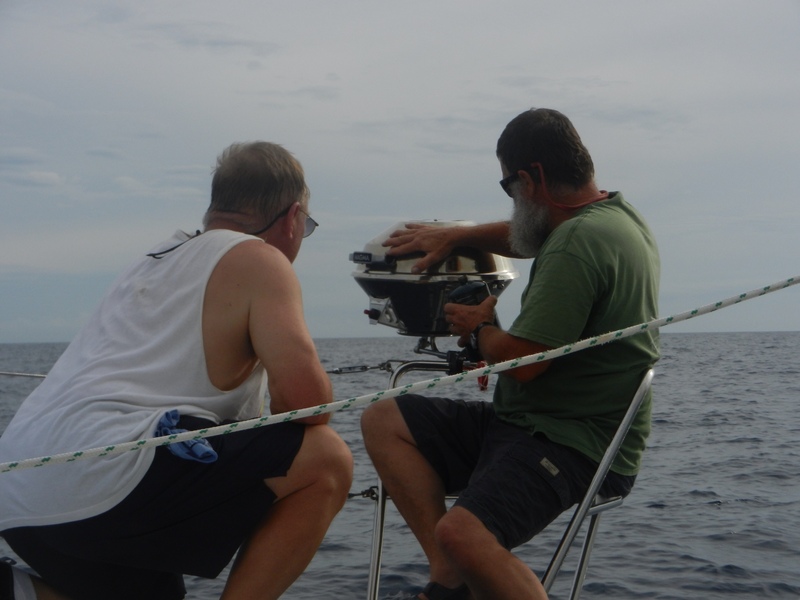 Soon Ralph and Stephen went topside to tighten the screws on the main sail. 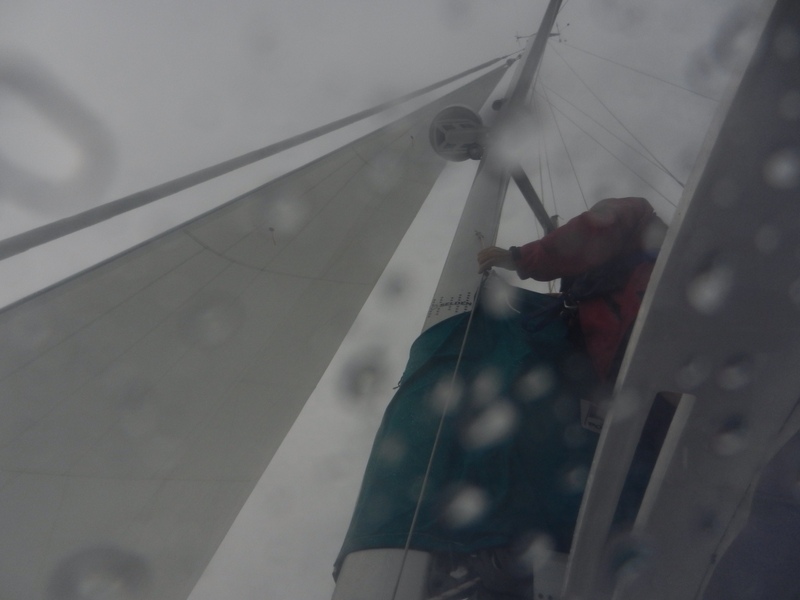 It was still raining but they wanted to be able to put the sail back up to help us get there faster. It took an hour but they had fun doing it. Boys will be boys. They were, of course, soaking wet but they were totally successful in their mission. 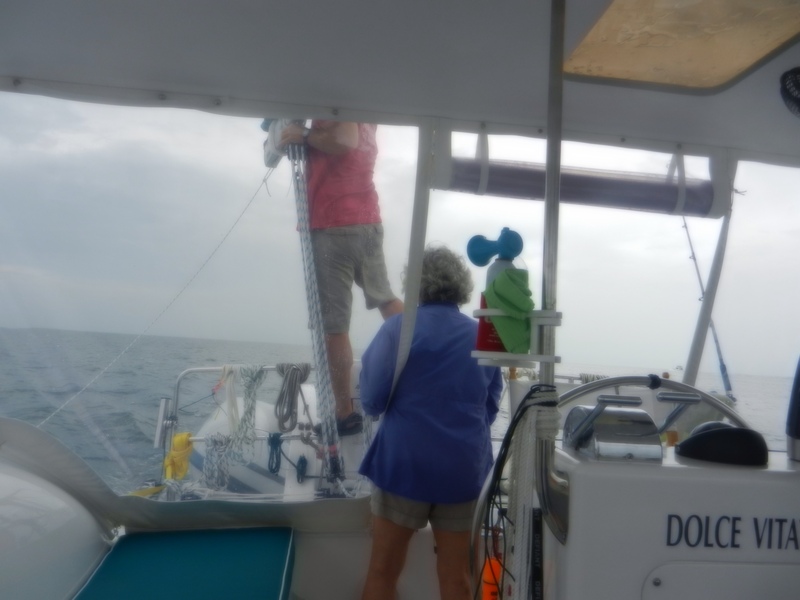 By 4 p.m. the mainsail was back up and sure enough we were able to go faster. We were still hoping to get into Mobile and situated before dark. We changed time zones giving us an extra hour. That was a positive, however, the sun remained the same. Soon we could see ships in the channels outside the Mobile Bay area as well as random oil platforms. It reminded us of home. 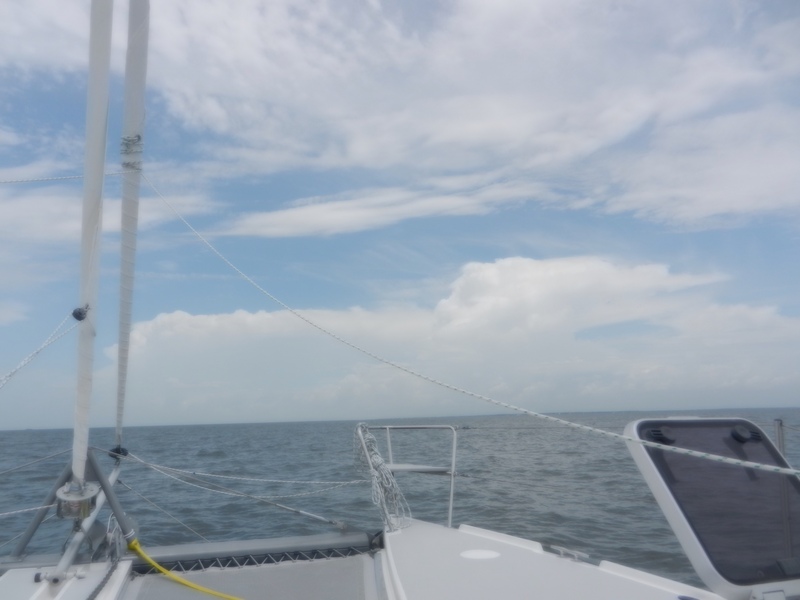 Not too long after we reached the first entrance buoy and began the long entrance into Mobile Bay. 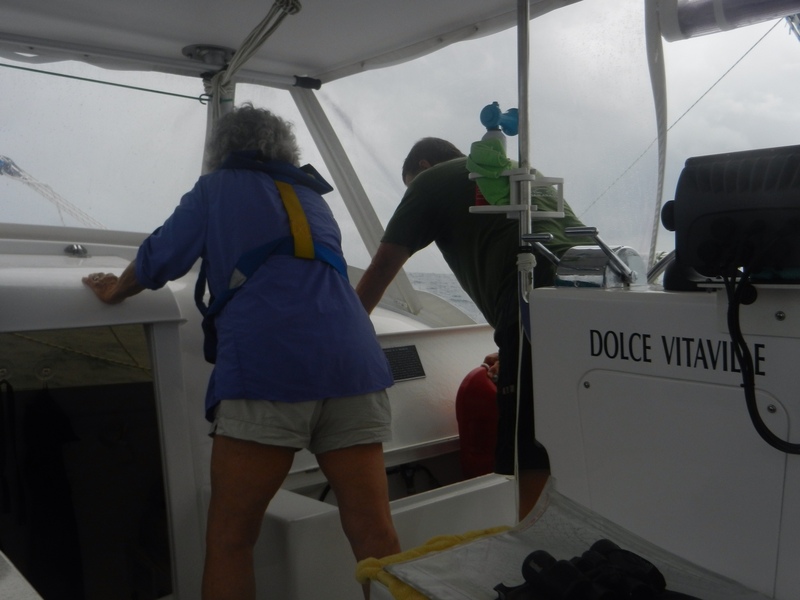 It was incredibly choppy as we and others came into the area. 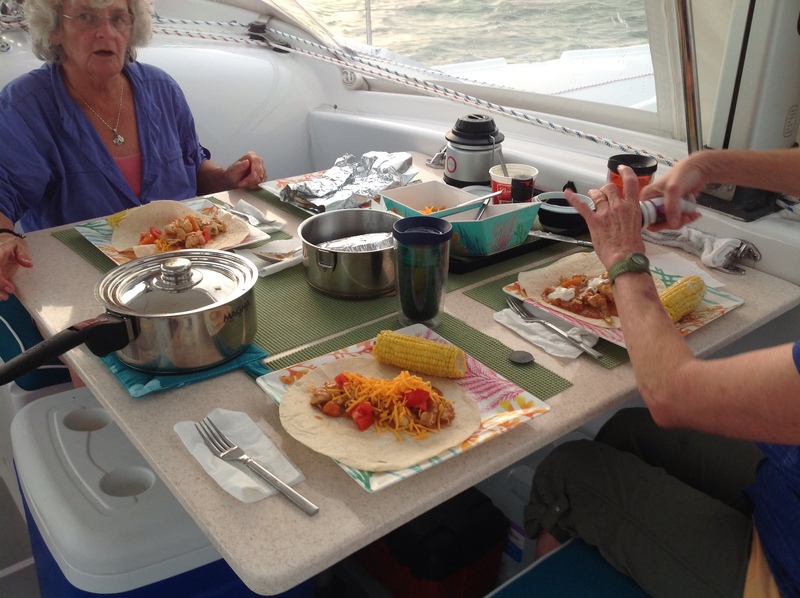 For dinner Arlene cooked us chicken fajitas and corn on the cob. 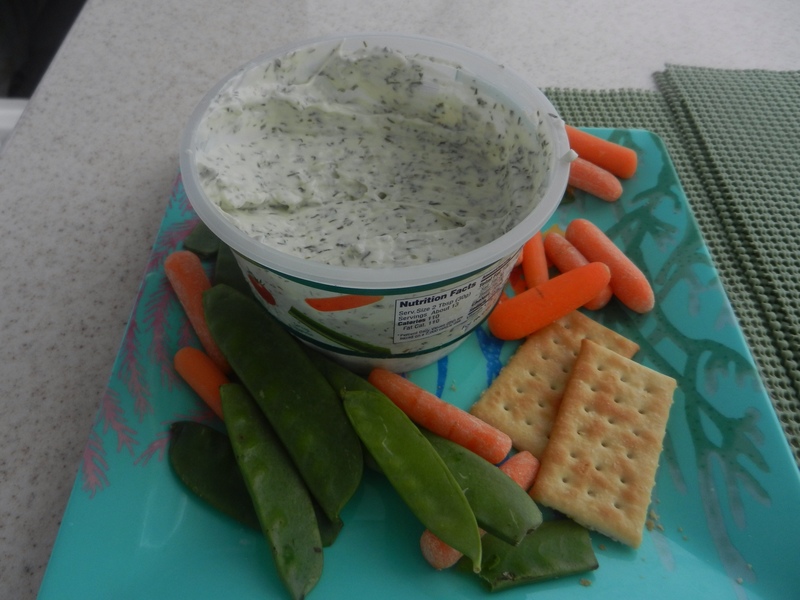 We had to wait until the chop subsided to eat but they were delicious when we finally got to eat. 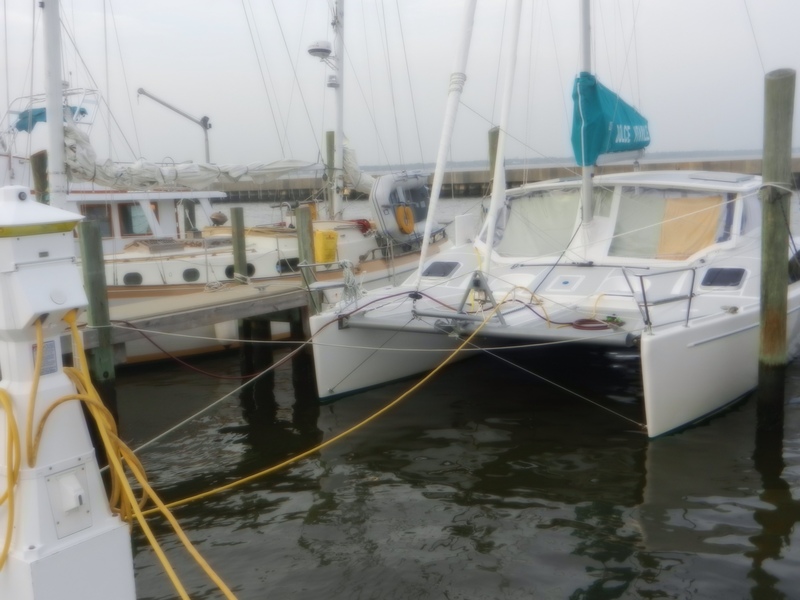 Unfortunately, despite all efforts, the sun went down before reaching our final destination at Daulphin Island Marina. 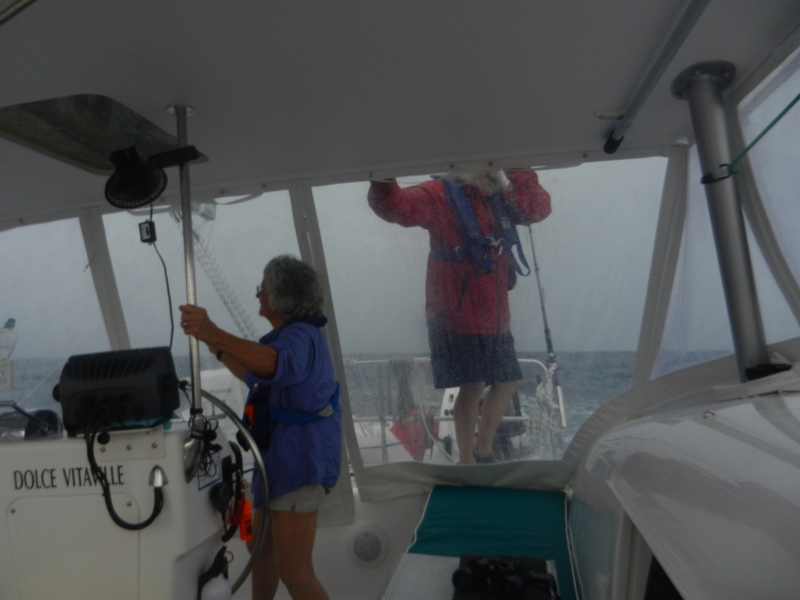 Arlene was out front with a good spotlight finding the necessary buoys to guide us in. Since we were unsure of the services at the marina and it was 9:30 pm we decided to anchor outside the channel in 7 feet of water. All in all it was an incredibly tense day. 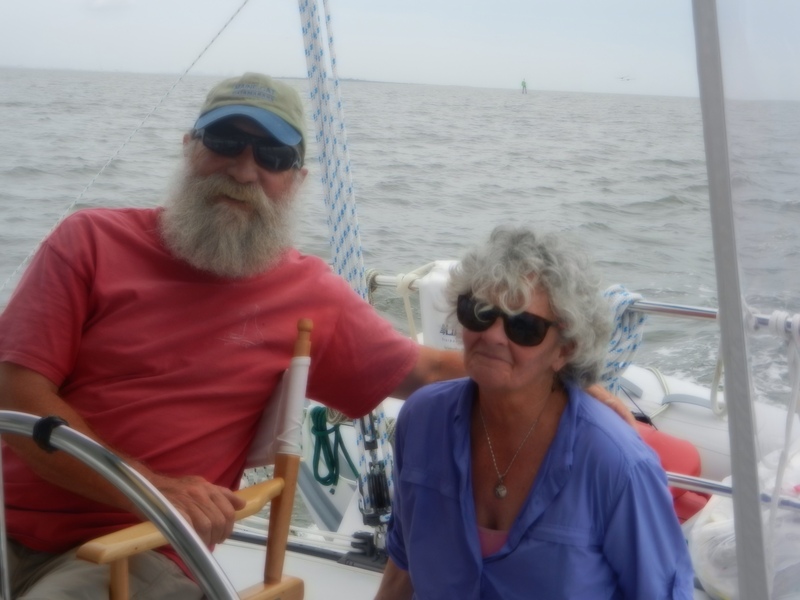 We all sat down for a couple of adult beverages before retiring. 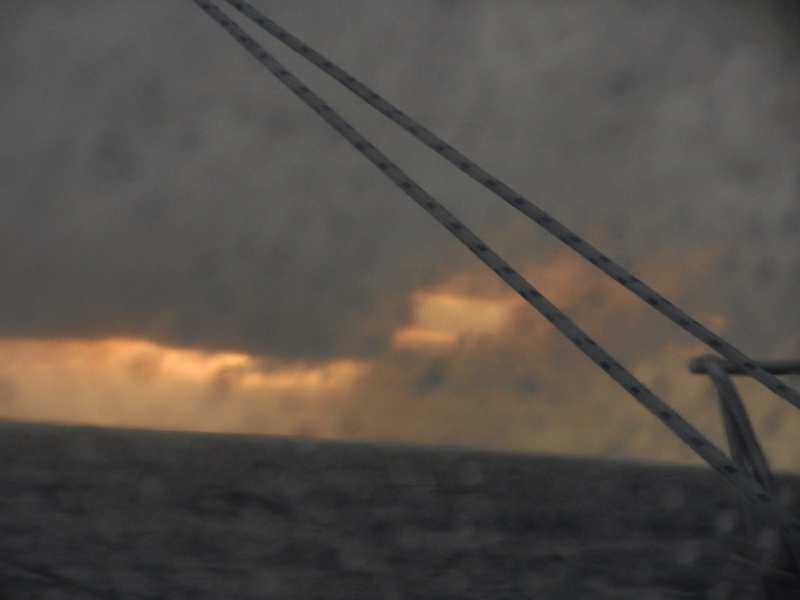 The weather forecasts don't look good for the days ahead and we see our dream of sailing into Texas fading away.